Bedford Autodrome West Circuit (post 06/2008) is a racing venue in United Kingdom with 154 laptimes.This page represents the 2.9 kilometer (1.8 mile) configuration of this track. 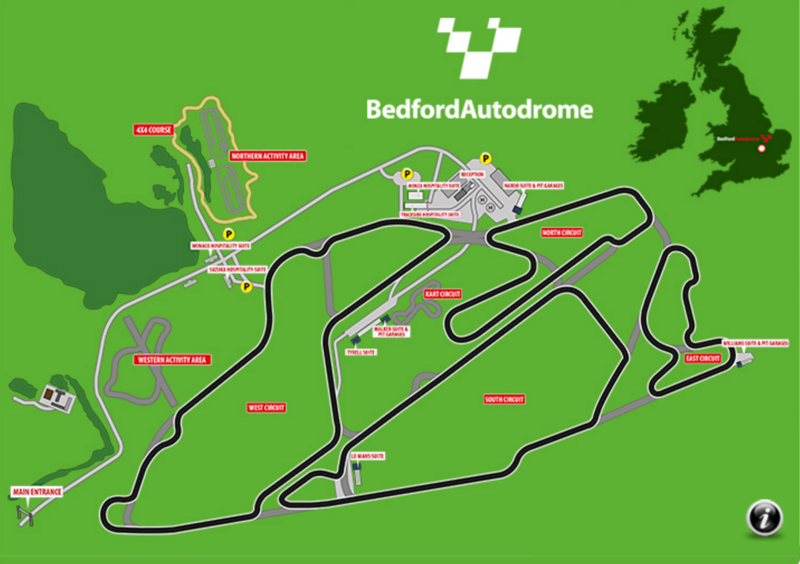 Bedford Autodrome West Circuit (post 06/2008) is a relatively slow track, with overall average speed of 120 kph (74 mph). @FastestLaps - Here is proof of the 1:10.8 lap for the T1. Didn't the Caparo T1 run 1:10 without a passenger?